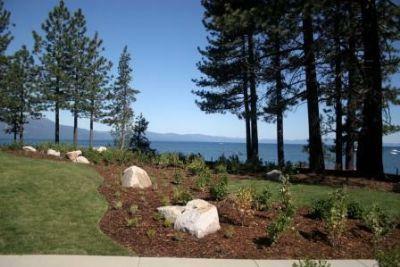 Deluxe condo in South Lake Tahoe sleeps 6. Private Beach access, swimming pool, and hot tub. Enjoy a private sandy beach and pier. Take a refreshing dip in the pool! 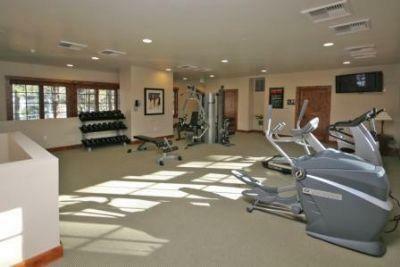 Keep up your fitness routine at the private gym! Lovely landscaped grounds are well-maintained. Another beautiful day in Lake Tahoe! Welcome to Sierra Shores! This beautiful condo features plush furnishings, rich wood accents, a gourmet kitchen, and the unparalleled luxury of lakefront access. 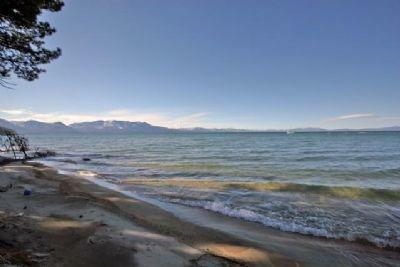 With three flat screen TV's, hi-end appliances, and an incredible sandy beach with pier, this home will accommodate your perfect Tahoe vacation! Concierge Service is readily available on site upon request to assist with dinner reservations, ski equipment fittings and rental, on site private chef, on site massage therapy, sled ride reservations, boat and water activity reservations, hiking and horse back riding and more. Inn Keepers and staff are very knowledgeable about the area and can assist with all activities and local information... One of the few Handicap Accessible Vacation Rentals in Lake Tahoe, featuring level wheelchair access and a full ADA Approved Bathroom. Master suite - KING with private bath and 42" Flat TV Bedroom 2 - QUEEN with 36" Flat TV, Bathroom Bedroom 3 - QUEEN with 36" Flat TV, Bathroom This condo is ADA approved on one level with garage right next to the unit, special shower access, ADA chair for the bathroom, 1.5" lower counters and refrigerator... Everyone should enjoy such comfort and luxury! -Private sandy beach with pier -Beautiful landscaped grounds -Private heated pool -Hot tub -Gym -Heated walkways and driveways during winter months keep snow clear for easy access. Gated property in the heart of South Lake. 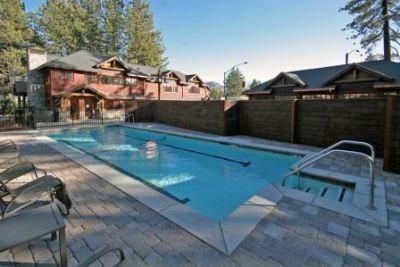 Centrally located just minutes to Heavenly Valley Ski area! South Lake...nearby restaurants and shopping! Enjoy the nightlife of the casinos, yet stay secluded in this private setting! Please check out the Interactive Floor Plan available on our website to see the full layout of this home! This home comes complete with full kitchen and all linens and towels. **No Smoking** **No Pets** Internet connection available, although not guaranteed. 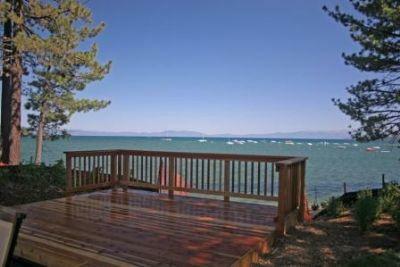 This is the convenience and luxury that will help make your dream Tahoe vacation come true! Property amenities include direct beach access, on site resident Inn-Keeper, assigned enclosed parking. The majority of guests must be over the age of 25. This home comes complete with full kitchen and all linens and towels. Please know that reservations cannot be cancelled once initial payment is received. We do offer optional travel insurance providing cancellation and medical coverage for only 6.95% of the total reservation cost. If an unforeseen event* prevents you from making your trip, you are covered. *Ask for benefit coverage and exclusion details. Prices are subject to change.